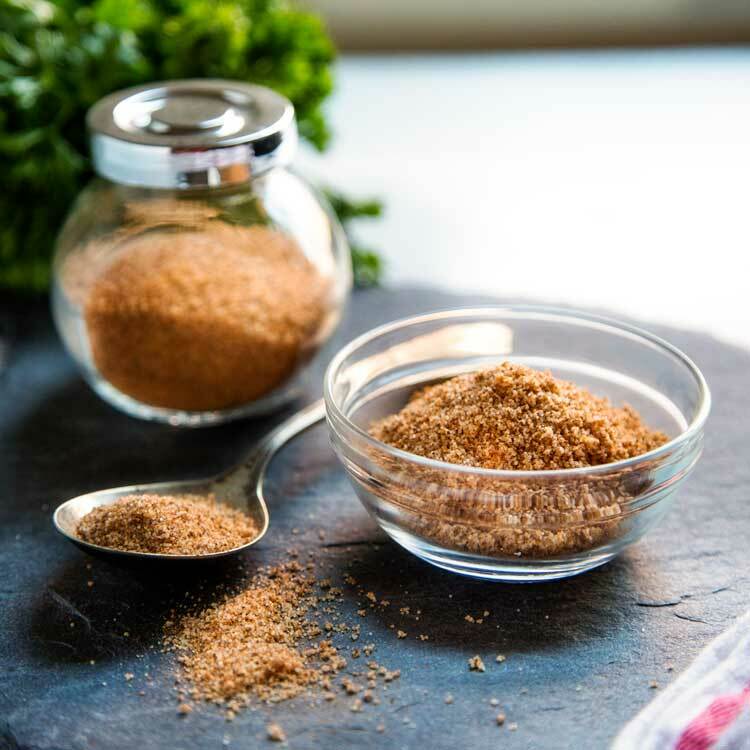 I am always wanting to bring you new ways to add a little POW of flavor to your meals, and decided to make up another batch of my Moroccan Seven Spice Blend and share an easy video on how to do it. I feel homemade spice blends are always better than store bought! Besides, this is going to be used in tomorrow’s recipe post and it’s a tasty one, so let’s do this! My stash of Moroccan Seven Spice Blend was just about empty and the meal I was going to make needed it. Badly. 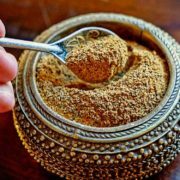 I’m pretty sure most of the required spices in Morocco’s famous spice blend are already in your pantry, too, and it’s a cinch to make. Every country has their special spice mix, right? 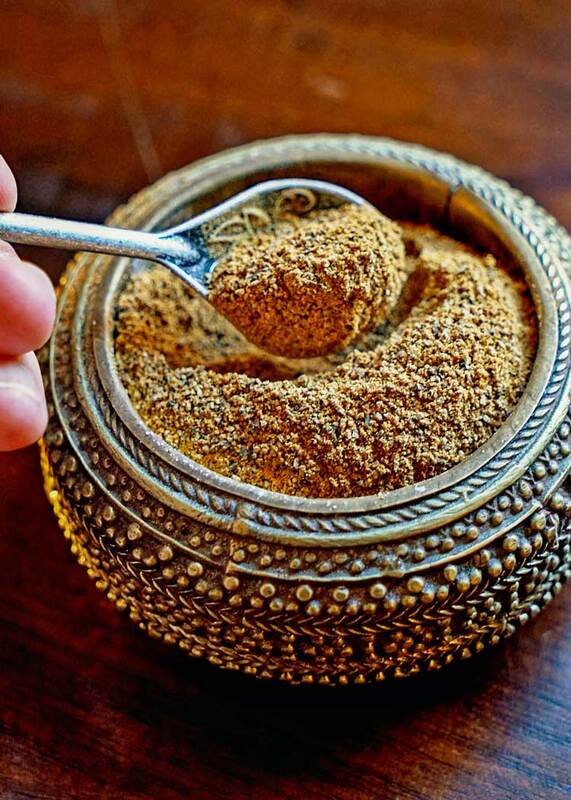 India has it’s various curry powders, there is also the delicious Chinese Five Spice and a favorite in my house is this Baharat Arabic Spice Mix and Lebanese Spice Mix. 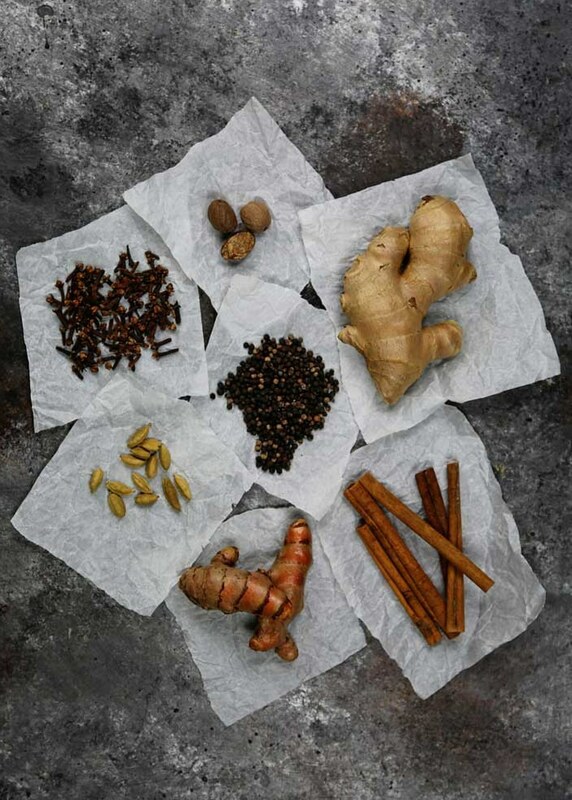 All different mixtures of exotic and hopefully fresh, dry and toasted spices to bring out the best essential oils and flavor. I wanted to show all the spices below in their original form prior to getting dried and ground for this spice blend. For this recipe ground spices purchased from your local market will do. Believe me, I do not grate, dry and grind fresh turmeric or ginger root myself! I can’t remember where I picked this one up, but I believe it to be from a friend’s mother who I befriended while traveling lower Egypt some years back. We were chatting away about food on the bus taking us to Abu Simbel to see a magnificent Ramses II temple (as well as Nefatari’s temple adjacent to his) near the Sudan border. 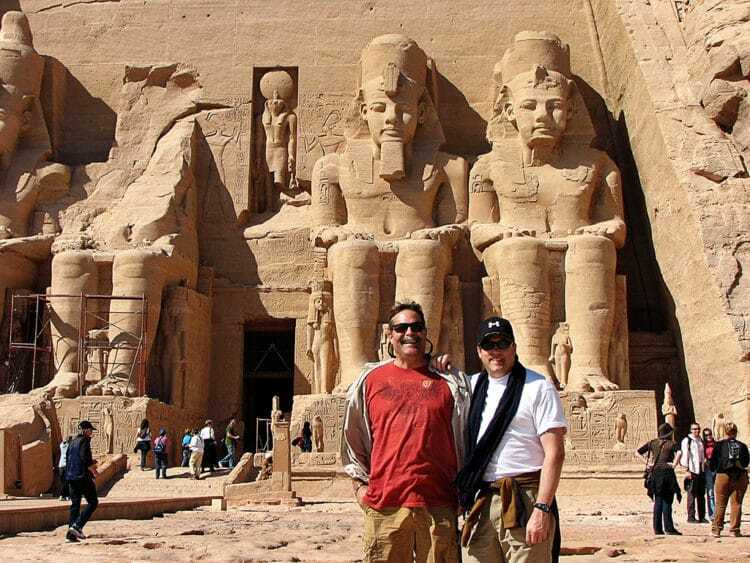 That’s Dave on the left, I’m on the right with hat in front of the temple at Abu Simbel. 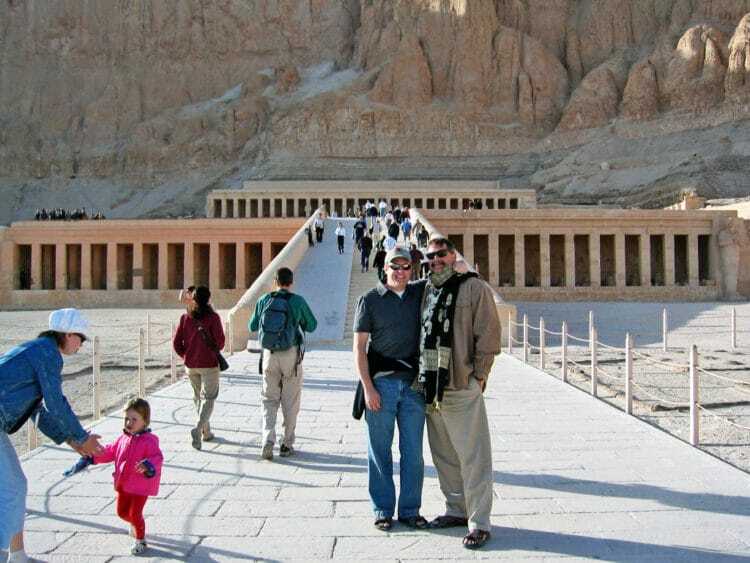 It’s one of my favorite temples to visit besides Deir el-Bahari, the Mortuary Temple of Hatshepsut, the first female Egyptian pharaoh to rule. Sorry, Cleopatra doesn’t count as she was a member of the Ptolemaic dynasty, a family of Macedonian Greeks that ruled Egypt after Alexander the Great’s death. 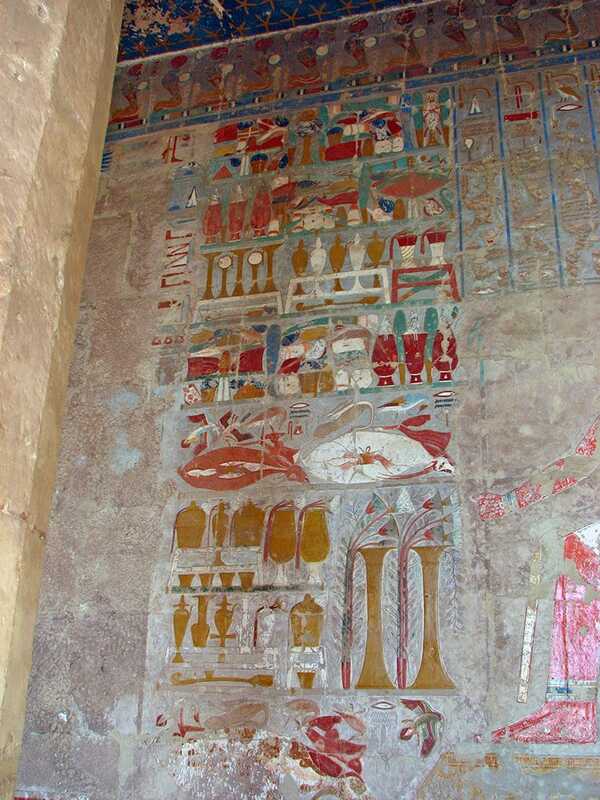 Hatshepsut came to the throne of Egypt in 1478 BC. Cleopatra was born 69 BC. Here we are again, Dave all bundled up in a scarf we had picked up in the markets of Luxor across the Nile from here. Actually on the exact opposite of the mountain wall behind us is the Valley of the Kings, where so many famed tombs, such as King Tut, were discovered. 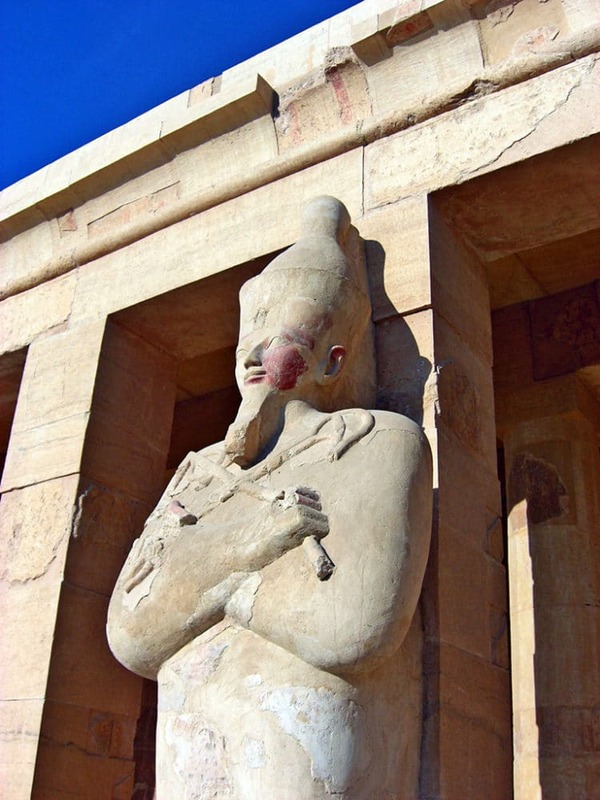 Here is one of many statues of Hatshepsut lining the exterior second level entrance. I love the fact the original paint is still intact on her and the temple. 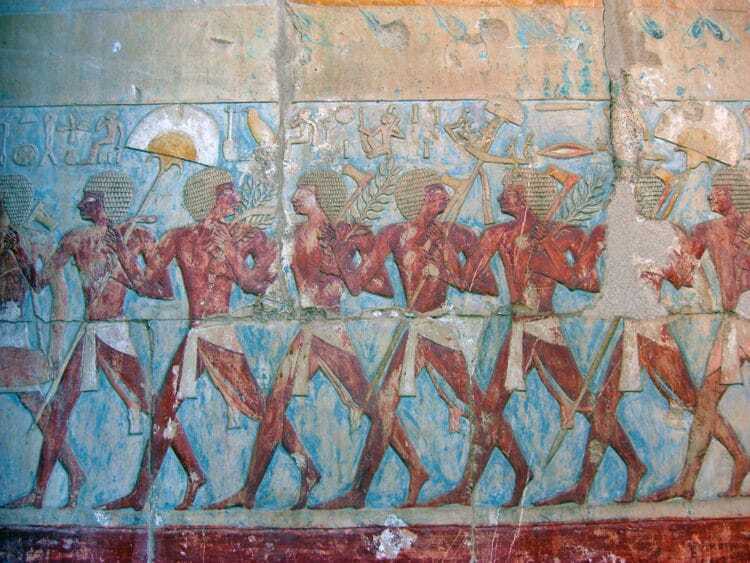 I took these shots on an inner wall of the Mortuary Temple of Hatshepsut. Amazing right? Check out the detailed offerings of food. I could go on and on about Egypt, it’s food, spices, people, and historical aspects forever. Been an Egyptophile for as long as I can remember. Anyways, this is about Morocco, not Egypt and my Moroccan Seven Spice Blend is one killer spice mix. I love to add it to meatballs, grilled meats and to include as a dry rub. Simply combine the spices and mix thoroughly. Store in an airtight container. I like to make small batches and keep on hand for the occasional need for a Moroccan influenced dish. One day we’ll make the trip to Morocco, visit the endless souks and barter away for more spices! For now this little taste of Morocco will have to do. Try it out and enjoy this little exotic flavor travel! 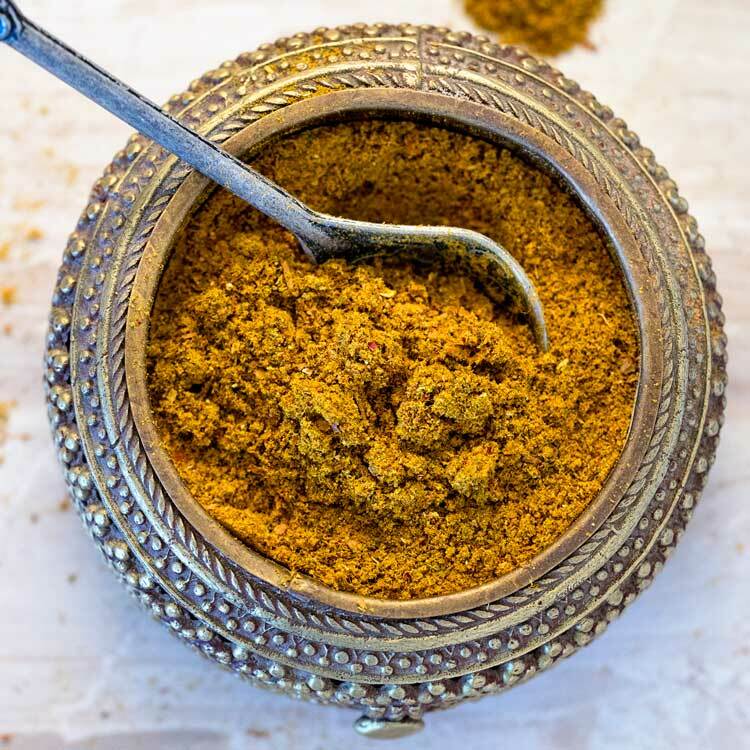 For other spice blends try my Copycat Montreal Seasoning Blend, Copycat Emeril’s Blackened Meat Seasoning, or this Garam Masala Spice Blend. Enjoy! 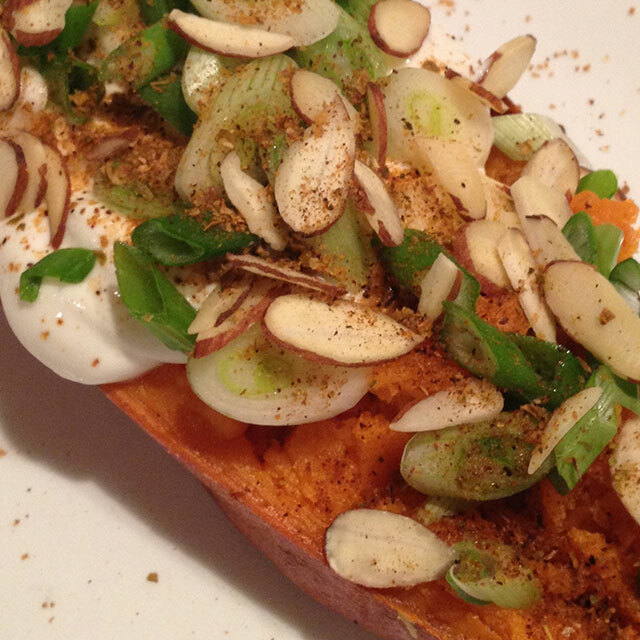 This recipe post first appeared on Kevin Is Cooking in February 2015 and has been updated with a new video. 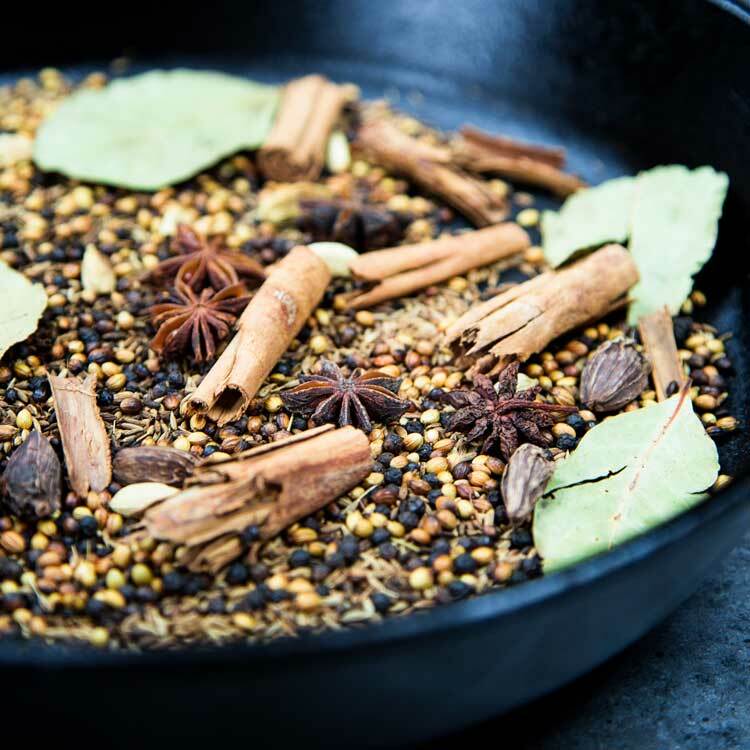 Moroccan Seven Spice Blend - a beautiful mixture of warm, ground spices that include black pepper, ginger, turmeric, cinnamon, cardamom, clove and nutmeg. An exotic and tasty blend for seasoning and dry rubs. Combine spices and mix thoroughly. I like to make my spice blends in small batches so the potency doesn't lessen. This makes a little more than 1/2 cup total. Kevin could you use this mix in a tagine? Ie. brown meat, remove, sauté onion garlic add spice mix till fragrant, add meat liquid and cover and cook? I am so happy I found this site. Great recipes. I’ve been to Egypt and Morocco several times. Traveled to over 30 countries. I lved in the Middle East for over 20 years. I love ethnic food. Thank you for sharing your love of food with us. So happy you found my site as well Sherilyn! I just so love to travel and explore other countries and foods. We live in tropical Puerto Rico. However, we just came back from a trip to Turkey. We loved the food. At the spice market we purchased the Turkish spice mix. But we are running out of it !!! Thank You for the formula !!! Black pepper, whole or ground? Measuring whole then grinding is quite a difference..
Hey there Darce. That would be ground, recipe updated to reflect. Thanks! I love all these beautiful spices! and love to used them often, as Patrick, grew up in Casablanca, this is a weekly fix in my house. It seems you and Dave had a blast! great pics! We hope to one day go to Morocco, it’s on the list! This is such a fabulous post. What a wonderful trip. And I love the pictures, especially ones with you and Dave. 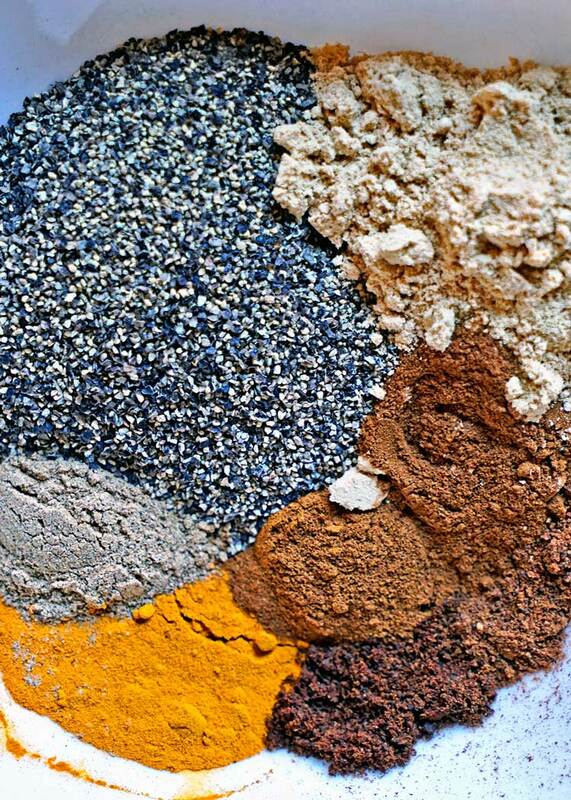 I can’t wait to make this spice blend… with ingredients I already have in the cupboard. Cheers! Thanks Sally! Egypt by far has been my favorite and each time was better than the first. To bad the country/area is in such turmoil. I would just die is ISIS does anything to Egypt’s historical monuments. One can never have too many spices on hand, life is not meant to be bland! Thanks so much Margaret, that made my morning! Have a great day. Great post, Kevin! Love that you shared personal photos as well as your travels ♡ totally jealous you are so well traveled, but I love that you are helping bring the flavors abroad into home kitchens! This spice mix sounds fantastic! Thank you Cheyanne. We just love to travel. Actually I am booking a trip to India for April 2016 this week. I’m very excited as it’s been a long time coming. The culture, and food will be so fun to experience. As for this spice, it’s a regular for the grill here. Enjoy! Kevin – what a wonderful post! 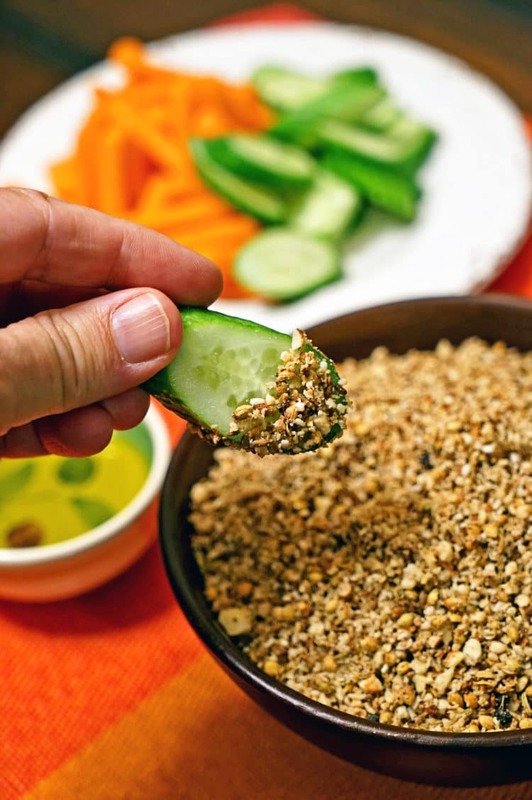 I can’t wait to try this spice blend and I love the slice of life you shared along with it. Thank you! Thanks Marissa, today’s post give a great example of it’s use. Who doesn’t love meatballs, right?! Thanks Nagi, I have a couple spice mixes worth looking at, so good. On my second trip to Egypt I saw so much more because the first time I one, couldn’t believe I finally made it there and two it was complete sensory overload. As for Morocco, I keep looking on Travelzoo for a good deal and timing for vacation. LOL, on another note I used my iPhone and Notes to write it down, too! Great to make your own spicemix. I’ve discovered it too that the taste is far more better than storebought spices. Have you tried mahleb or mahlab yet? It’s a great taste when freshly roasted and grinded in a mortar like you can do with cardamonseeds. 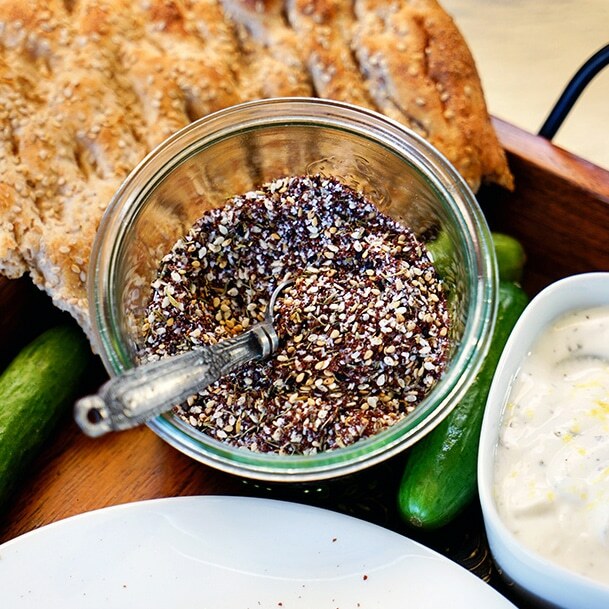 You can combine cardamon and mahlab for an incredible taste in breads, its Lebanese. The difference of taste is comparing an eau de toilette and perfume. Fantastic, I will try that out! Always love new things and thanks for stopping by the site. Dude! This is awesome. I loved the little history lesson there…give me more of that! Ancient Greece and Rome have always interested me, and Egypt is closely tied with those histories. And I also learned something about the first female Egyptian pharaoh…now I just need that to be a trivia question on Thursday trivia!! P.S. This spice mix looks awesome. I just want to live in your spice cabinet. Thanks David, glad I could share some info that might help you guys out on some Thursday night! Try these different mixes in small batches and see what grabs you. I make it a point each evening to do a different culture, or style to keep it interesting.